Visioneering asks for money. Let's ask these questions. Visioneering asks for money. Let’s ask these questions. 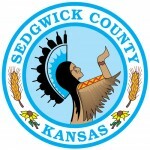 When Visioneering Wichita asks the Sedgwick County Commission for funds this week, commissioners may want to ask a few questions about how well the Wichita-area economy has performed, compared to the peers that Visioneering has selected. What conclusions should we draw from this data? First, compensation paid to government employees (left chart) has risen faster than that paid to private sector employees. Much faster. Second, when looking at government employment compensation, Wichita tracks almost exactly the same path as the average of our Visioneering peers. Third, and this is what is most important: Wichita lags far behind our Visioneering peers in private sector compensation. In Wichita and peer GDP growth: we find that compared to its peers, the government sector in Wichita is growing fairly quickly, but the private sector is growing slowly. In Wichita personal income growth benchmark we see more of the same. Private sector growth in Wichita is slow, compared to our peers. 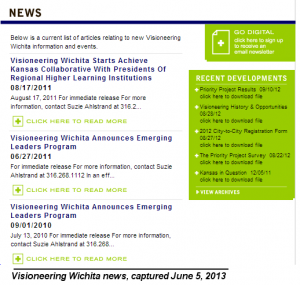 Is Visioneering satisfied with the performance of Wichita, as measured by these benchmarks? Is Wichita’s trend in these benchmarks moving in the right direction, or is Wichita falling farther behind? Are these the correct benchmarks we should be using? 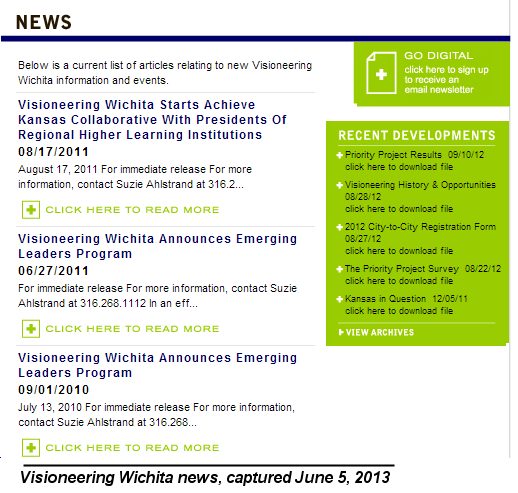 Is it possible that Visioneering is making the Wichita economy better than it would be without Visioneering? Or is it making it worse, or is there no difference? Does Visioneering need additional resources to fulfill its mission? On the Visioneering website, why are no future events listed? Are none planned? On the Visioneering website, under the “News” section, is it true that there has been no news to post since August 2011 or September 2012 (there are two streams of news)?